at becoming the world-wide leader in supplying effective and innovative protection that successfully offers environmentally-friendly biocides within the high-end niche market. in progressive and modern technology and therefore implements cost-effective technology for ecological and economic products. to expand its innovative technology to more markets world-wide making the environmentally-friendly solutions accessible to more and more people around the world. We achieve this by consolidating and penetrating existent markets as well as cautiously expanding into new markets when the environmental market has developed and the right partners have been found. Established in the late 1980’s, Jesmond’s long standing presence in the biocidal market has evolved over the years to arrive at today’s established Jesmond Group of Companies. With our Holding company in Switzerland, Jesmond Holding AG, and our main headquarters in Austria, Jesmond BioScience GesmbH, we find ourselves in the midst of a ground-breaking development with manyfold applications of patented micro-encapsulation technology. Specifically focusing on a single active “permethrin” based ingredient, Jesmond began with a formulation that was developed, registered and successfully put on the market under the BioKill™ and BioCare™ brand name. Since then Jesmond has continuously progressed to produce higher standards of biocidal protection to its clients with the rigorous enhancement of our formulation. In doing so, Jesmond is proud to be able to offer the best range of indoor and outdoor products we can offer for households as well as special PCO formulations for professionals around the world. What we do best: the Jesmond-Group offers a comprehensive service of technical- and marketing know-how to lead its brand, technology as well as investment into formulations. In extending Jesmond´s aim to provide a global service, our esteemed partners and distributors play a vital role. 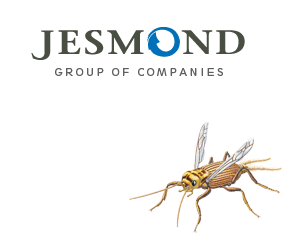 Jesmond and its partners share a common goal in the belief that biocides are an essential part of today´s world and a necessity in controlling harmful insect pests. 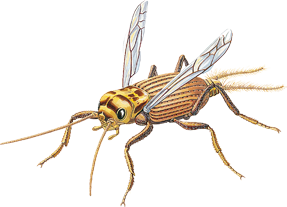 These infestations are capable of carrying dangerous diseases (such as Zeka, Yellow- and Dengee Fever) and limiting the quality of life for millions of people around the world. To achieve our goal, we work with professional marketers who know and are established within their respective market and sales channels. Jesmond´s in-depth experience in developing formulations and biocidal registration dossiers on both a national as well as international level, offer our partners a solid support system. We strongly believe that the term biocides ought to go hand-in-hand with maximum safety and efficacy. In continuously challenging ourselves to improve our formulation, we support our belief in a pro-environmental generation of biocides that keeps families and businesses pest-free. Jesmond Holding AG is our Swiss based mother company located in Zug, Switzerland. It is the proprietor of the formulations, all registrations, scientific data, TM´s, world-wide marketing and distribution rights. This company is also the holder of all License and Distribution Agreements with all our partners. Jesmond BioScience GesmbH is the operational and Management Company based in Vienna, Austria. This entity provides the services of supply- and support management for our partners. These include technical, production, registration, logistical, marketing, and QCM services. If you are PCO professional interested in the use of micro-encapsulation, please click here. JESMOND`S PRODUCTS AND BRANDS, SUCH AS BIOKILL® AND CLEANKILL®, OFFER THE BEST EFFICACY BY APPLYING ONLY AS MUCH ACTIVE INGREDIENTS AS REQUIRED TO KEEP YOUR HOME FREE OF PESTS.